Quality: This recipe works best with paste tomatoes, as slicing tomatoes will yield a thin watery salsa. If you only have slicing tomatoes available, use the Tomato/Tomato Paste Salsa recipe. 3. 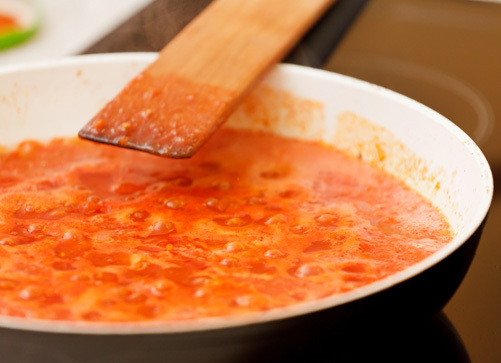 Combine all ingredients in a large saucepot and heat, stirring frequently, until mixture boils. Reduce heat and simmer, stirring frequently until thick (about 1 hour).